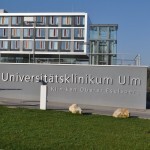 May 2018 – Due to significant renewal and restructuring needs, Ulm University Hospital commissioned the masterplanning for the future development of the hospital area last year as well as an analysis of the current buildings and various development scenarios. MMI Schweiz AG is now assigned to review the design plans regarding their practicability and to further develop the strategic and structural concept. The focus of MMI´s work is specifically the formation of clinical centers and the development of medical clusters. In close cooperation with the users of the departments, MMI develops the most practicable solutions. MMI also reviews the previous analyzes of performance data, forecast data, assumed future requirements and the structural development options. The integration of research and teaching into the re-planning of the University Hospital is also part of MMIs mandate.